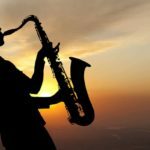 Atlanta, Georgia – October 12, 2015 – The Alchemy Sky Foundation announced a partnership with the Bridge of Georgia and Metro Music Therapy to facilitate weekly music workshops for special needs students. The music therapy sessions are held on-site at the Bridge of Georgia in Monroe, GA and consist of various music therapy exercises, activities and interactions that help students with developmental challenges. 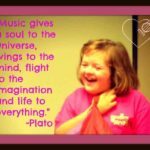 Students with special needs such as those with Autism and Down Syndrome can grow and excel in social, cognitive, physical and emotional skills through music therapy. Instruments and equipment are provided by Metro Music Therapy and the Alchemy Sky Foundation. 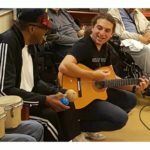 “We are excited to begin our partnership with the Bridge of Georgia and Metro Music Therapy. Music therapy workshops are an effective and fun way to customize education programs for students who learn and grow in different ways,” said Jaye Budd, Founder of the Alchemy Sky Foundation. The Bridge of Georgia is a place that is focused on developing the abilities of children of all ages and ability levels. It is a place where all children are welcome and can succeed. The Bridge of Georgia serves children, age two through high school with the focus being on achieving their highest potential and finding their place in the community in which they live. The faculty and staff at The Bridge strive to teach children in the way in which they learn in order to develop their abilities. The Bridge of Georgia was developed with a focus on the tools necessary for children with autism spectrum disorders and other brain-disorders to succeed. They very quickly learned that many other students with special needs could benefit from these same research-based tools. With a strong focus on abilities rather than disabilities, the staff uses students’ strengths to help develop them in the areas they have challenges. In addition, social skills are part of the core curriculum in order to prepare the students for life, employment, and meaningful relationships.